The Belgian Heritage Center will document the history of the Belgian settlement in Wisconsin and preserve unique elements of Belgian culture such as foods, beverages, customs, architecture and the Walloon language. 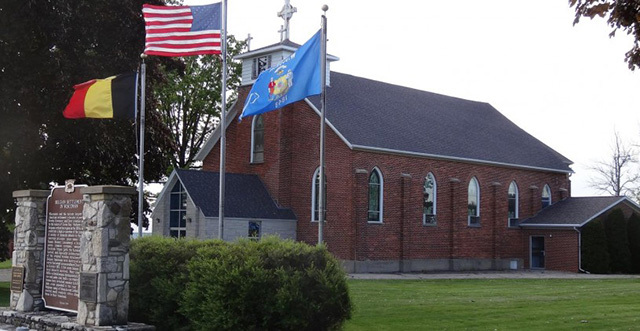 The center is located in the former St. Mary of the Snows church which was a cornerstone of the historic Belgian settlement. The building is located in the Namur Historic District that is listed on the National Register of Historic Places and has been designated a National Landmark by the US Department of Interior. The building is being restored to represent the period in which the community formed its roots which will create historical context for the visitor.